Let's celebrate with a yummy treat! 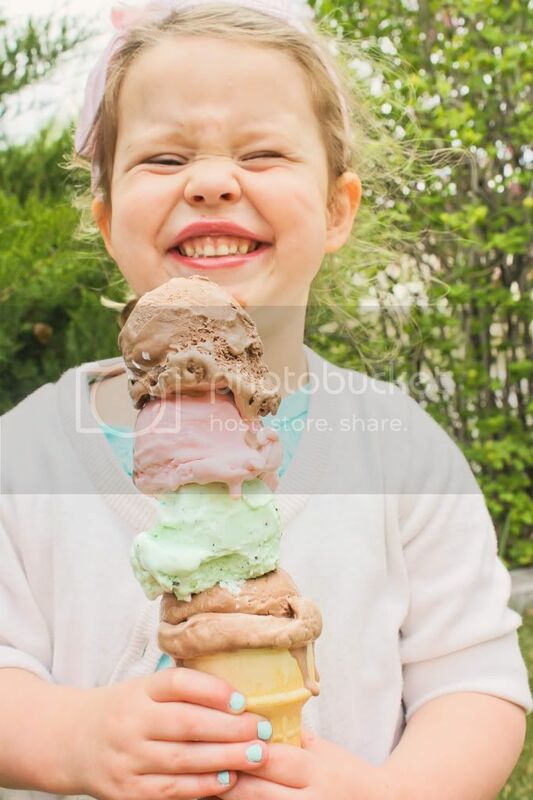 Zoe and I had a fun time taking some pictures yesterday, with this giant ice cream cone. Yes it's real. Yes I made it. No she didn't eat all of it. Not even close. She only got in a few bites before the mess way running down her hands and she gave it back to me. This afternoon I will be in my craft room having a great time celebrating NSD. I've been making some super secret projects for an upcoming Paper Issues theme/blog hop, so I don't have any really recent projects to share, but I wanted to share this layout I made a few weeks ago and never got around to posting. 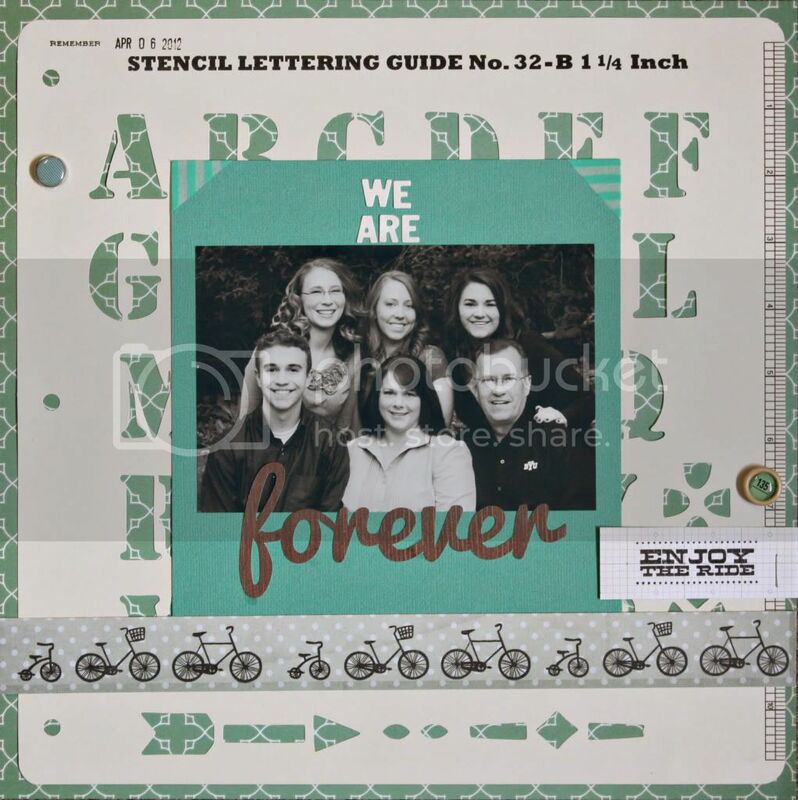 This was made with the April Studio Calico Kit (LINK) and our awesome family pictures taken by Aly Willis. I'm happy she got a picture of just my immediate family. Not that I don't love my brothers-in-law or my niece and nephew, or my husband and child. But I spent the first 19 years of my life with the 6 of us, and I like to have those pictures too. 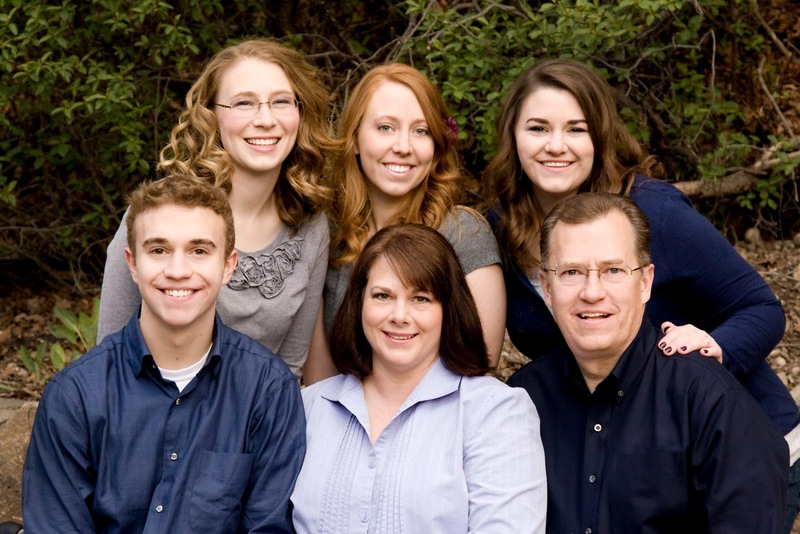 I also like having a picture of the 6 of us because we really don't look anything alike. People find it hard to believe that we are all blood related. Well I'm off to get my craft on...how are you spending NSD? what a cool layout...love the stencil idea as a background! I'm getting my craft on too...just about to go for a swim though; it's almost 90 degrees here today :) HAPPY NSD! Love this layout and the JB paper looks so cool!